Stir up your power, Lord Christ, and come. By your merciful protection alert us to the threatening dangers of our sins, and keep us secured in the promise of your grace and love, for you live and reign with the Father and the Holy Spirit, one God, now and forever. Amen. Thanksgiving in Pittsburgh gave us the opportunity to worship at the church that my mom and my sister’s family attends. First English Lutheran is right in the heart of downtown yet draws many of its members from the suburbs. At mass last Sunday, the lector was reading the second lesson for Christ the King Sunday which came from the book of Revelation. And when she read the “Amen” that came at the end of the first half of the reading, a gentleman within the assembly shouted back a healthy and spirited: AMEN. The lector paused. She was surprised. She was not used to having anyone say something when she was in the midst of reading the lesson. After all, it was her time to speak. She took a breath and read on. But there was another AMEN in the reading one verse shy of the end. As she approached that AMEN she paused before saying it this time. In that momentary pause, before she said that second AMEN, I imagined the thoughts that were racing through her mind. “The last time I said AMEN, that gentleman echoed it. What do I do? If I say it again, is he going to shout again? Is he going to surprise me, surprise all of us, again? Maybe I should skip it this time so as not to encourage such behavior. It was really unsettling the first time. What should I do?” It’s amazing what kind of thoughts we can have in those split seconds, so very pregnant with possibilities, yes? Well, whatever was going on in her mind, the lector girded her loins and pushed through. She read the AMEN. Not quite as enthusiastically as the first one. I’m sure she did intentionally and with great caution pull back a bit. You know, tried to downplay the catalyst. And, in kind, the gentleman offered a much quieter echo of AMEN this time. And the lector finished the reading. Probably with a sigh of relief that nothing crazy broke out when all she wanted to do was read her assigned reading and get on with the worship. Surprises. Do you like surprises? Do you work well in the midst of surprises? 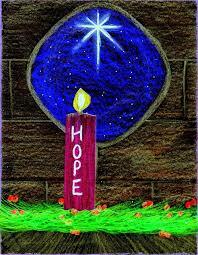 Well, regardless of your answer and your comfort level, welcome to Advent, the season of surprises. And there is no shortage of them this morning. Leading the way of surprised ones is Zechariah, father of John the Baptist. There he is, doing his priestly duties in the temple. Maybe he was even surprised that the lot had fallen on him to go in and offer the incense. Had he ever done it before? With the heavy sacredness that was put on that holy of holies part of the temple, you can imagine that he was at least intimidated. Go in, light the incense and get out. But his quick exit is delayed by a very surprising conversation with an angel. “You and your wife are going to have a baby.” It’s not just this news that is a surprise, but that it is coming now. For Zechariah and Elizabeth were not young adults looking to start a family. They were of some years and had pretty much resigned themselves to the reality that children would not be a blessing that they would enjoy. A hard thing to face for anyone hoping to have children. Especially hard in the culture of first century Palestine where having kids was the measure of everything. You get a sense of this when Elizabeth realizes she is pregnant: SURPRISE! And she exclaims: 25 “This is what the Lord has done for me when he looked favorably on me and took away the disgrace I have endured among my people.” The disgrace, she says. Disgrace is what she has been experiencing all these pain-filled, and disappointing years. But even in the face of hopelessness, God surprises. Like the imagery that we hear from Isaiah, God surprises wildernesses with gardens and dry river beds with gushing waters. It follows that this surprising God is the one who astounds us bringing life to an old women’s womb, even bringing life to a dead man’s tomb. SURPRISE! There are no shortages of surprises in that short reading from Jeremiah either. If you don’t know much about Jeremiah, all you really need to know to appreciate the surprises he brings this morning is that he is typically cranky and the bringer of lots of bad news. For much of the Bible book that tells his story, he has been prophesying doom, gloom and destruction to the people of Judah and to the city of Jerusalem. And now everything that he predicted is coming to pass. The context for this morning’s passage has the armies of the Babylonian empire, the newest and mightiest superpower of the Middle East, laying siege on Jerusalem. It is just a matter of time before tiny and frightened Judah will have to surrender and be taken into exile. You’d think that this would be Jeremiah’s time to say a big: I TOLD YOU SO. Which, no surprise, he does in other places. But here, that is not his message. SURPRISE! Even Jeremiah is speaking words of hope and resurrection. He tells the people that God has not forgotten the promise made to them regardless of how they feel as they stand at defeat’s door, nor has God forgotten that kingdom of Israel to the north that continues to lie in ruins after their annihilating defeat. He says a great surprise is coming that will be as outrageous as a branch sprouting up from a stump that appears to be dead and fruitless. SURPRISE! And further, Jeremiah tells the people that the God who seems to be handing them over to obliteration is the one who is their justice and who will make all things right. SURPRISE! And AMEN! In two weeks, we will be observing the anniversary of St. John’s worshiping in this sacred space. 160 years ago, the then three-year-old German speaking congregation purchased this sanctuary that was at the time 37 years old. And that was a bit of a surprise as well. For exactly one year before, in 1857, having struggled for two years and in the midst of a huge national financial crisis that saw people loose everything if the bank whose money they were holding went under. And a good number were going under. In December of 1857, the people of St. John’s took a vote whether to go forward or to give up. In faith, they decided to go forward. And just one year later, they had the resources to buy this building. SURPRISE!! And here we are, 160 years later. Tonight, begins Hanukah, when our Jewish friends and neighbors celebrate another miraculous surprise provided by the God of light who does not abandon us to the darkness. There is always another surprise. And just to take this surprise thing to the max – today we are surprised to finally have our new Advent altar frontal that was commissioned. We will be surprised each Sunday as a new panel is added as we journey further into this season of Advent. Open your heart and mind to the surprises that God is working. Stay close, journey on, and witness Mary’s surprise and her surprising hymn (the Magnificat) that surprises the power structures of our world. Witness Zechariah and Elizabeth’s further surprise as the Spirit fills their son and uses him to prepare the way of Jesus. But most importantly, look for the surprises in your own story. They may cause you to pause, they may cause you to be speechless, they may cause you to say AMEN! But wait for them, in hope, with faith, knowing that ours is a God who seems to enjoy surprising the world. For at the end of this Advent journey, we will be totally surprised to find the almighty creator of all things, born into our human existence, lying in a stable, and living and dying just as we do. But, always with one more surprise, rising to new life and sharing that with us. The great SURPRISE. And, surprisingly, it is all done out of love. Out of grace and mercy. Surprises just keep coming. Let us not pause at any of the surprises along the way, but instead receive them in faith, rejoicing for the God who lives and loves to surprise. And a hearty AMEN will be a most appropriate response to every surprise.